The Brenda Butler Archive continues to produce stellar examples. 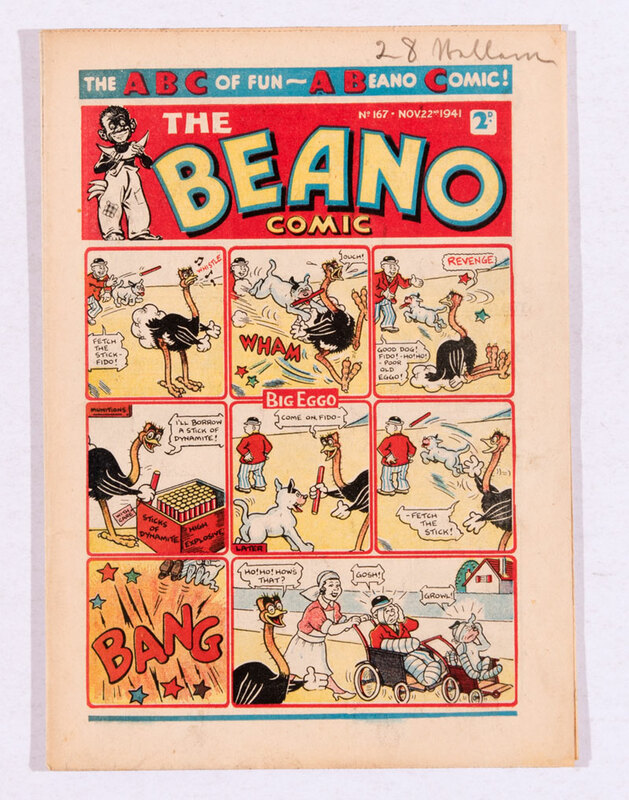 Here is the third Beano Book from 1942 which tipped the scales at £4150. 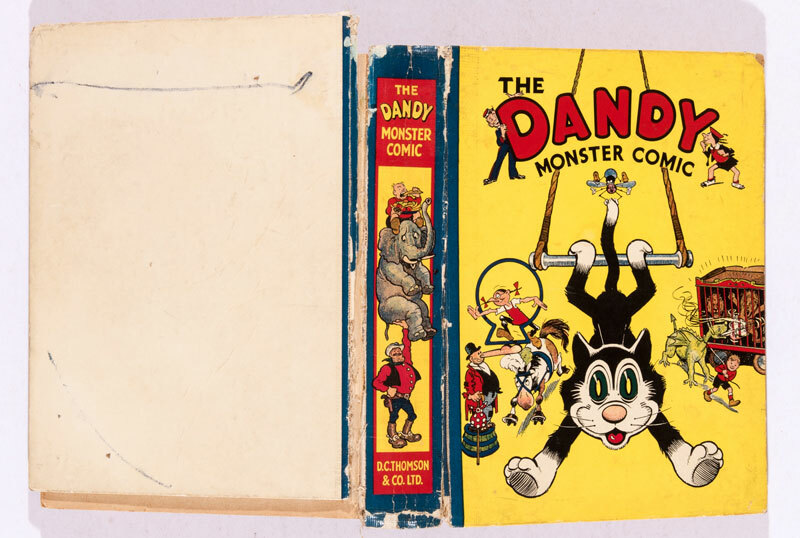 1942’s Dandy Monster Comic, also from Brenda’s collection, realised a hefty £2850. 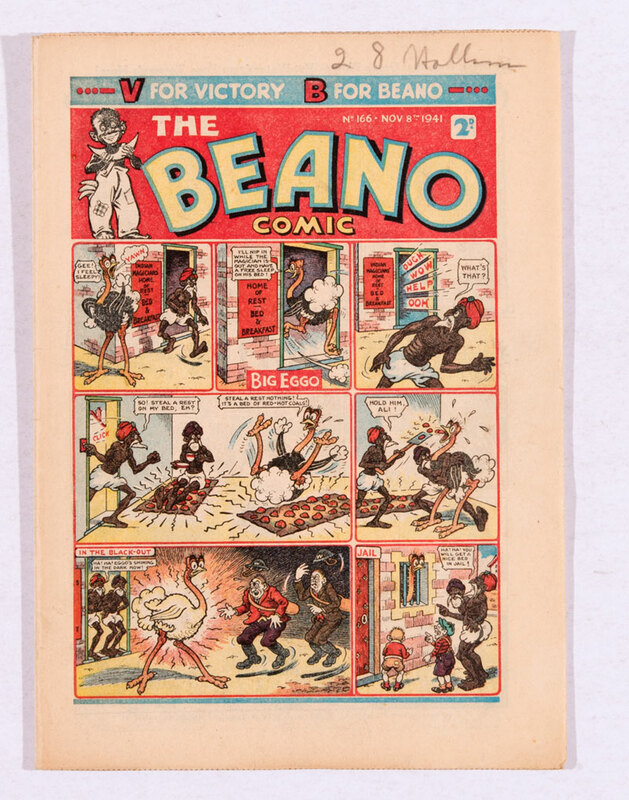 Illustrated above are two issues from our high grade Beano Comic run 164-167, all offered separately, all selling for £270 each. 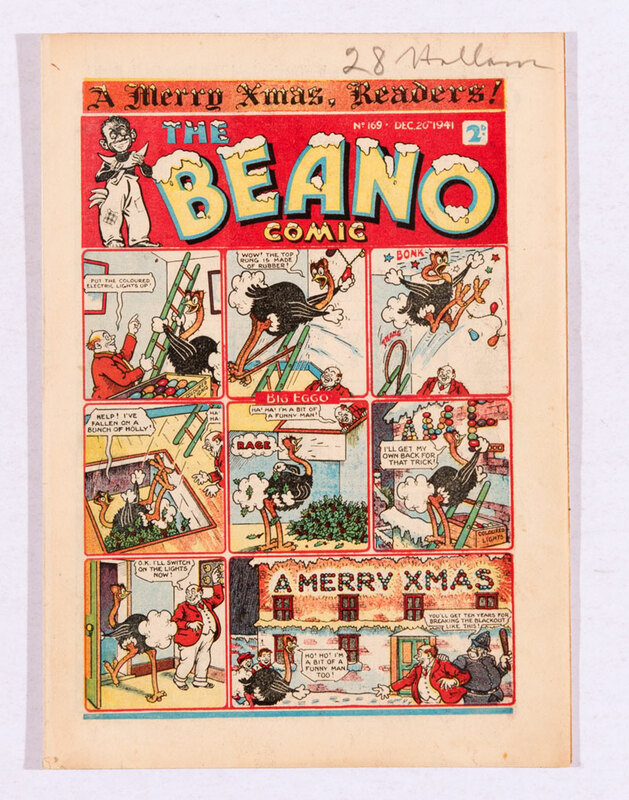 This magnificent high grade 1941 Xmas issue featured a long cartoon inside with all the Beano characters collecting waste paper for the war effort. 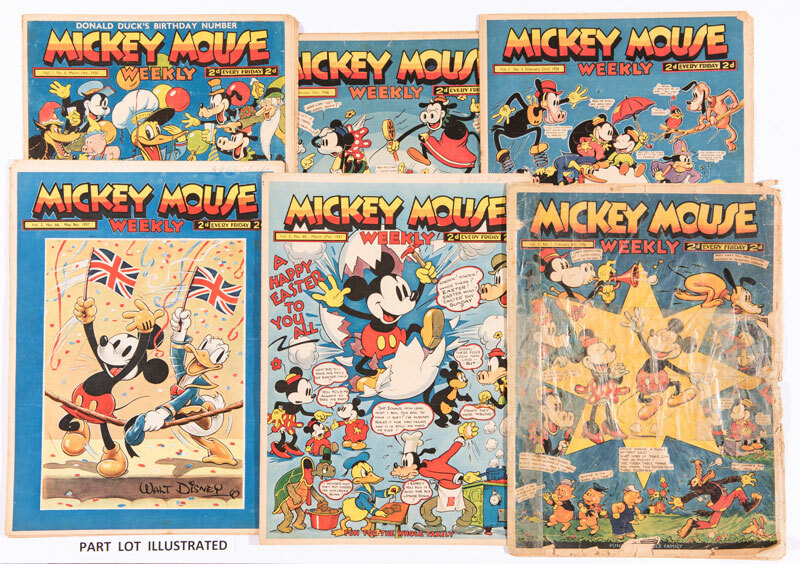 Selling for a whopping £900, the winning bidder also did his bit for Britain. 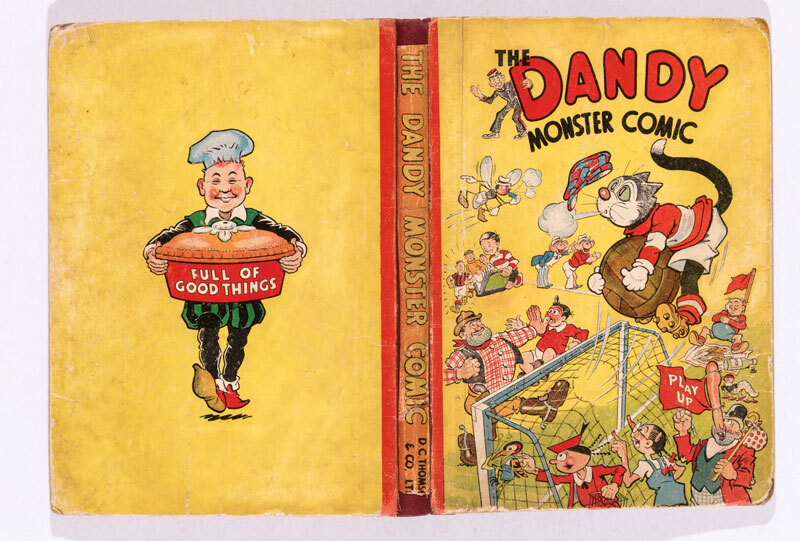 Not everything finds a home and Dandy Monster Comics 1 and 2 had some discernible faults and were left unsold with reserves of £700 and £350 respectively. 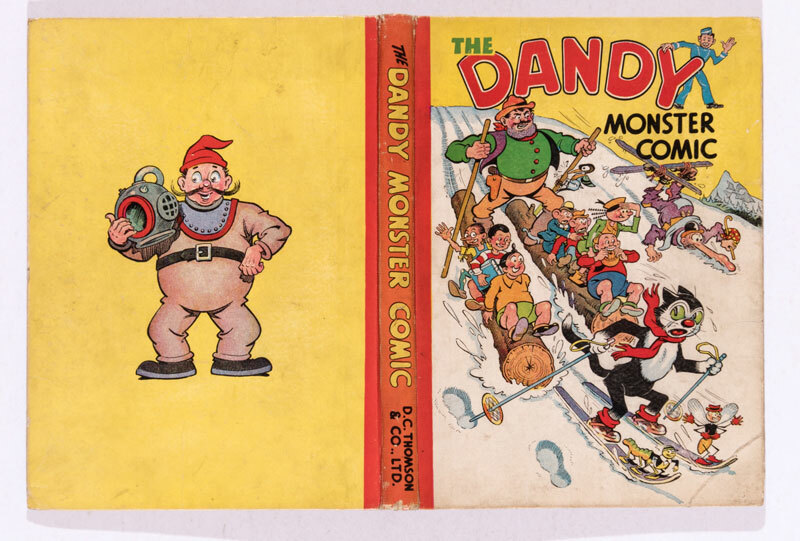 In our auction of June 2016 we sold a Monster Comic No 1 for £5000 and a No 2 for £2550, both in Very Fine condition. 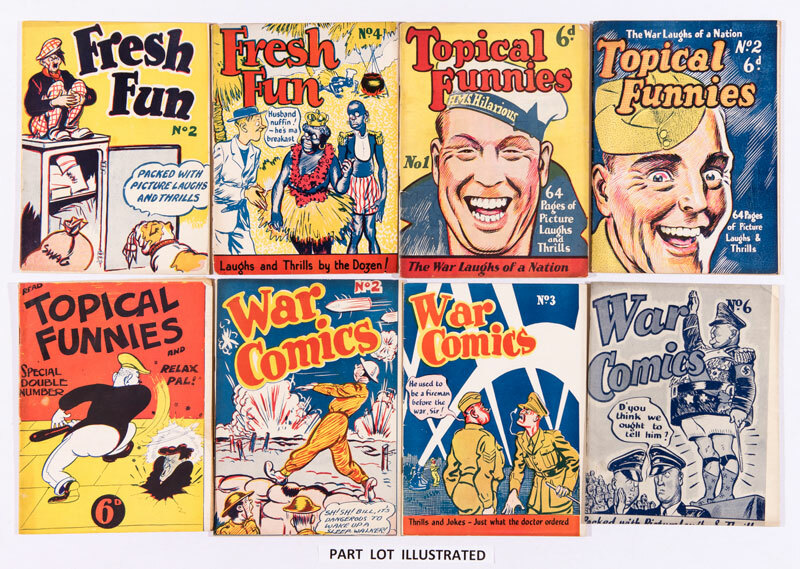 The marketplace has changed in the last ten years with many copies of war years annuals coming up for sale. 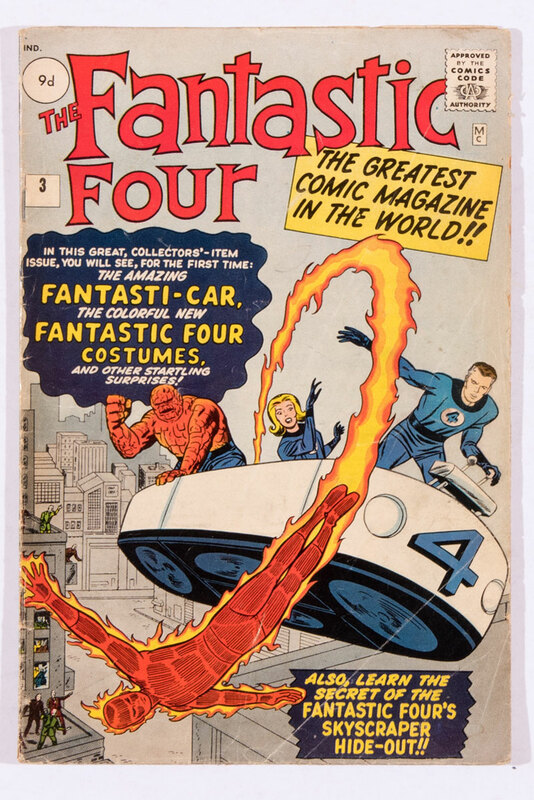 As a consequence the aura of rarity has been diluted so that only the higher grade examples can guarantee multiple bids and premium value. 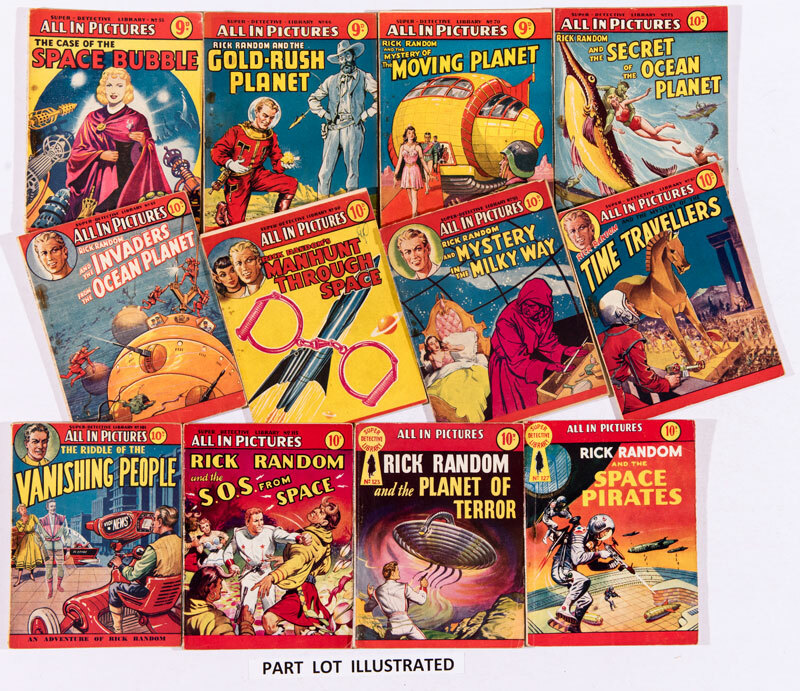 This run of 16 Super –Detective Library issues exclusively starred Rick Random – Space Detective and they rocketed to £220 or £14 each. 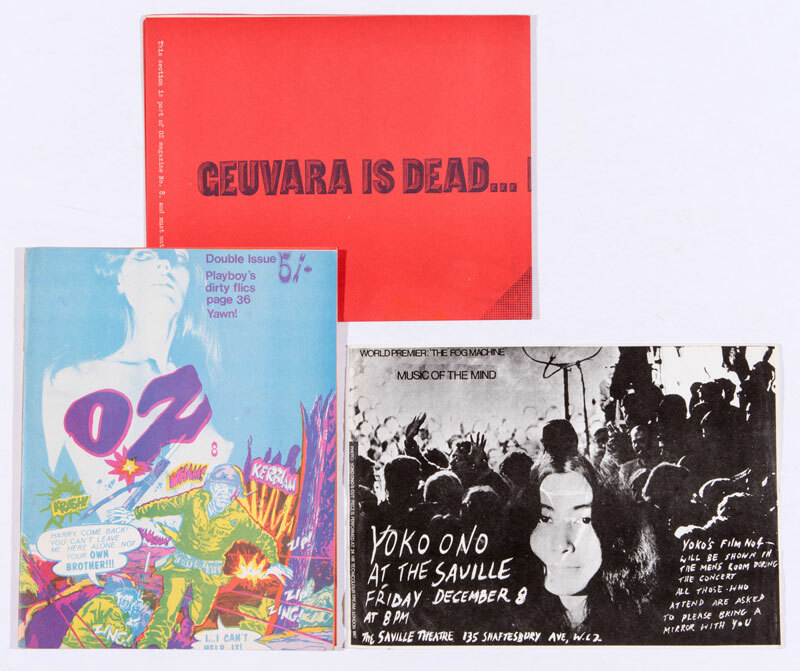 Oz Magazine No 8 from 1968 included the misspelt ‘Che Geuvera’ poster and the rare Yoko One exhibition flyer. Peace and love and £320. 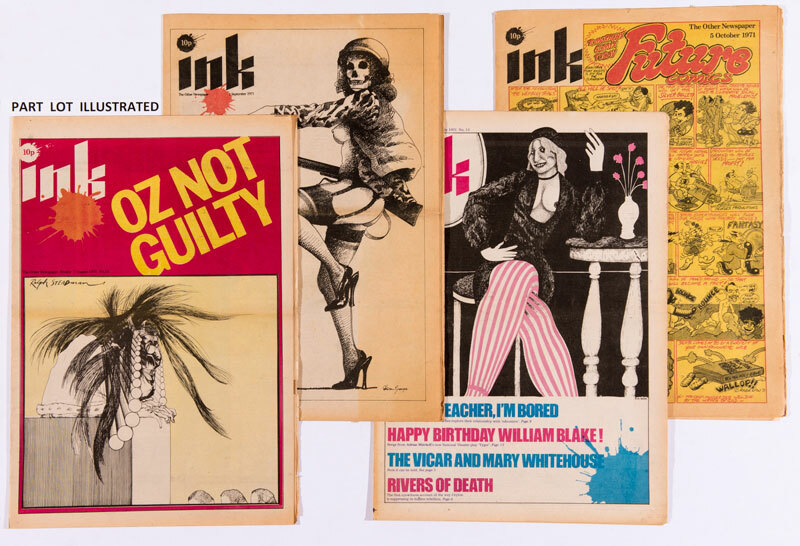 Ink was published by Oz co-founder, Richard Neville. 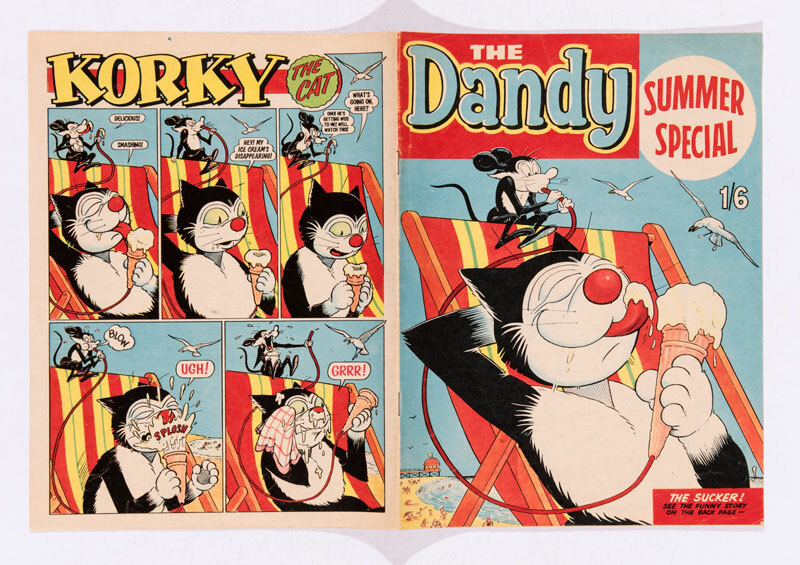 Famous for its Ralph Steadman and Gerald Scarfe cartoon covers, issues 1-19 and 21 also featured Rupert with Mary Whitehouse. £290 was all she wrote. 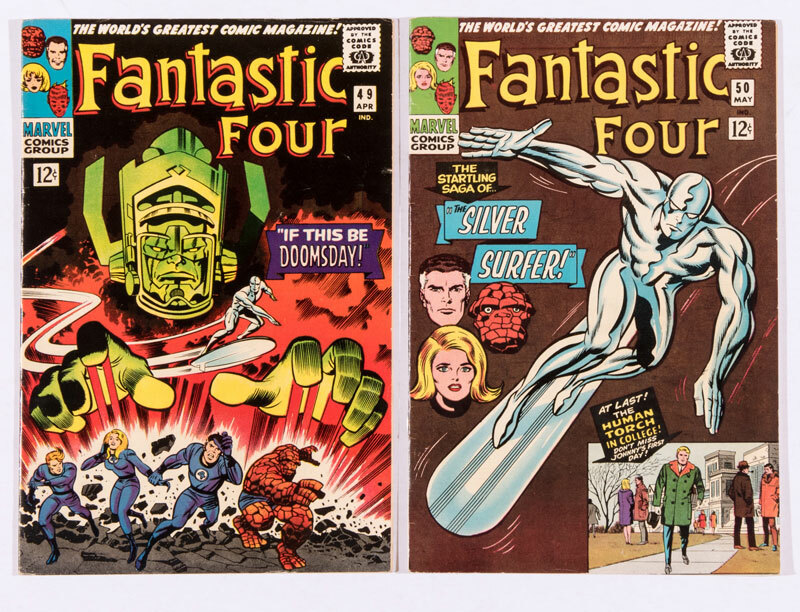 Good early runs of Amazing Spider-Man, Fantastic Four and X-Men dominated our US section. 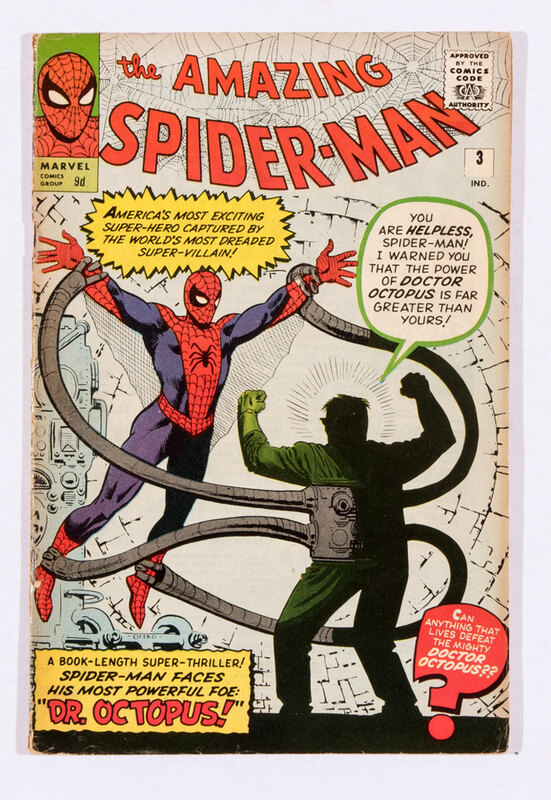 Illustrated here are Spidey 2 and 3 at £230 and £165. 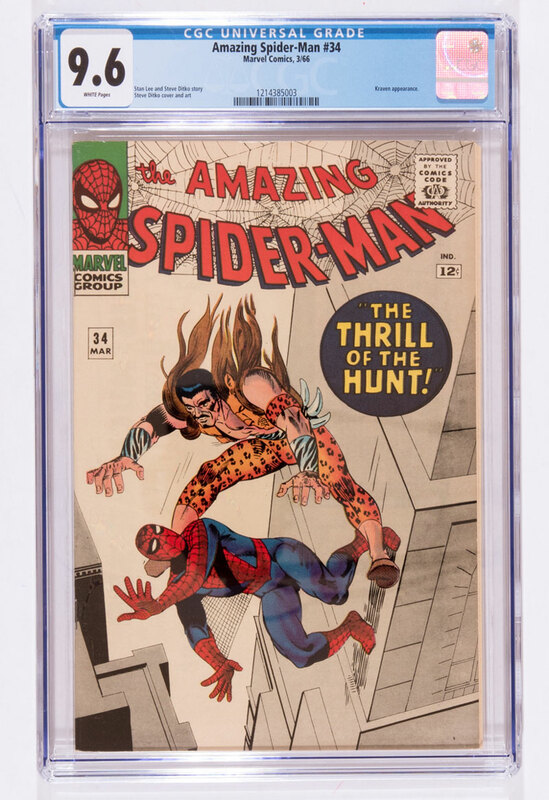 Star of the show was the CGC 9.6 copy of Amazing Spider-Man 34 at £1020. 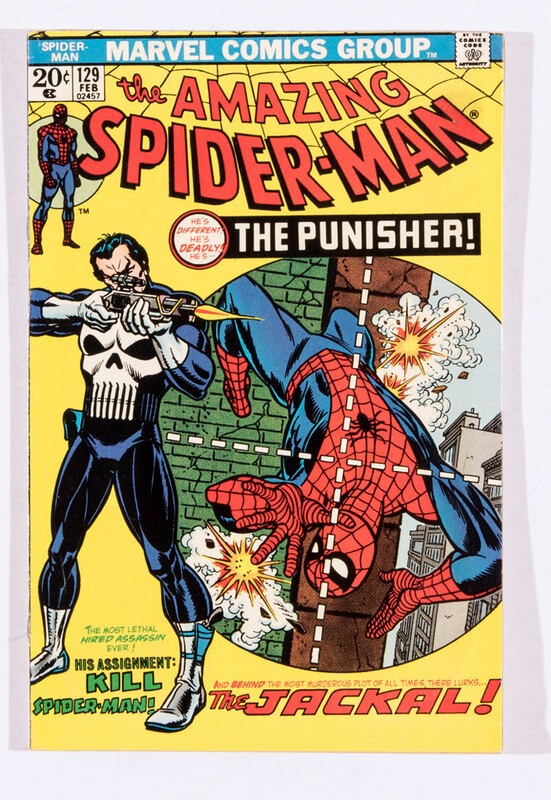 Extensive moisture rippling did not stop the first Punisher from £185. In low grades of [gd] and [gd+] FF’s 2 and 3 made £220 and £210. 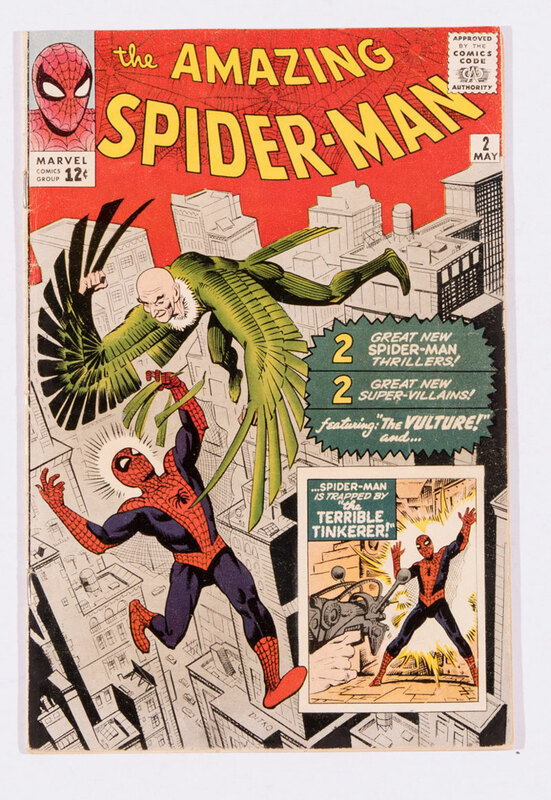 Very Fine Minus cents copies of Spidey 49 and 50 at £230. 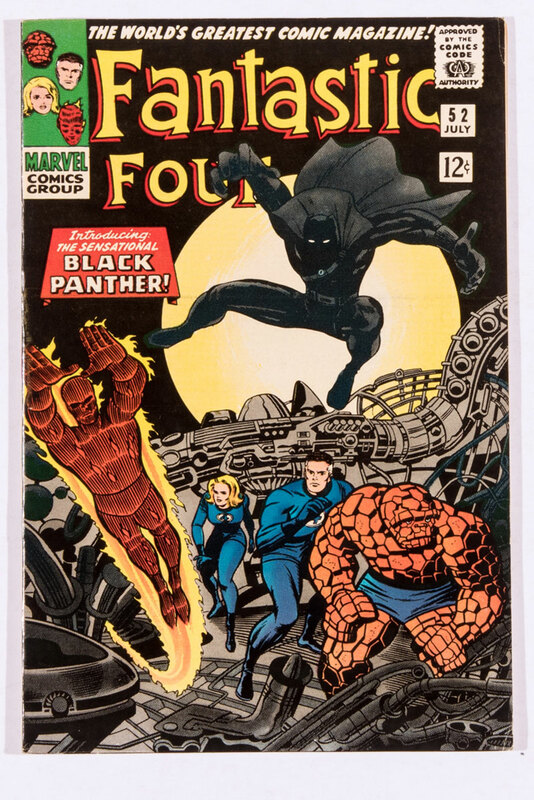 A [vfn] cents example of the key Black Panther first issue did not disappoint at £410. Sgt Fury 1 in [vg] fatigues won through with £200. 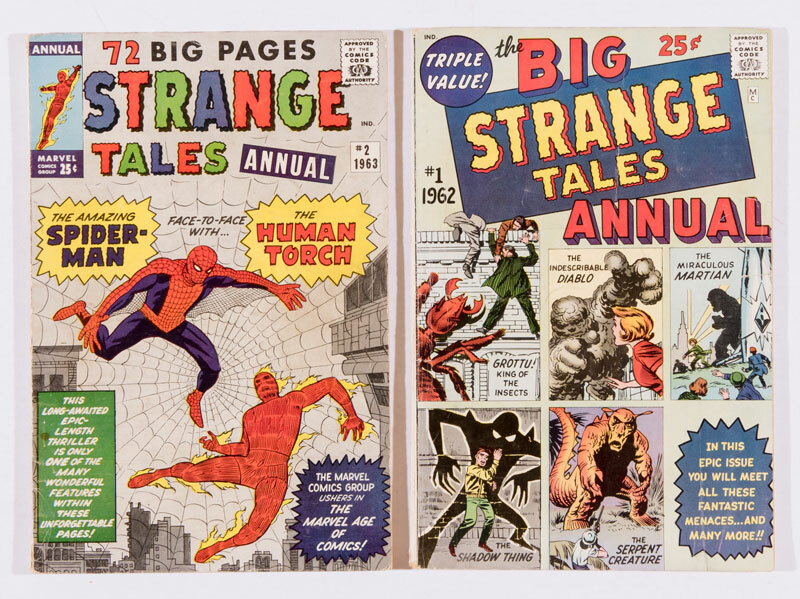 Strange Tales Annuals 1 and 2 from the early Sixties, both in [vg-] at £130. 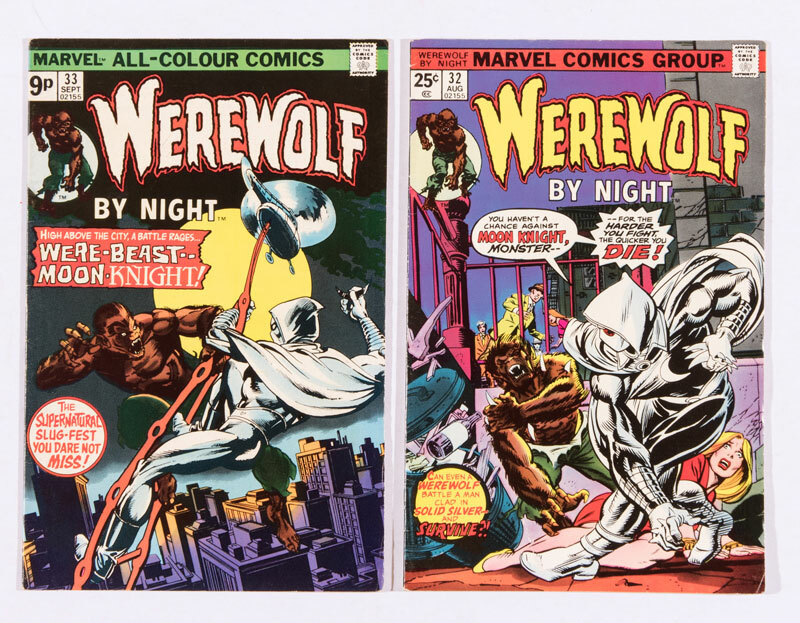 Werewolf By Night 32 and 33 introduced the first and second Moon Knight appearances. 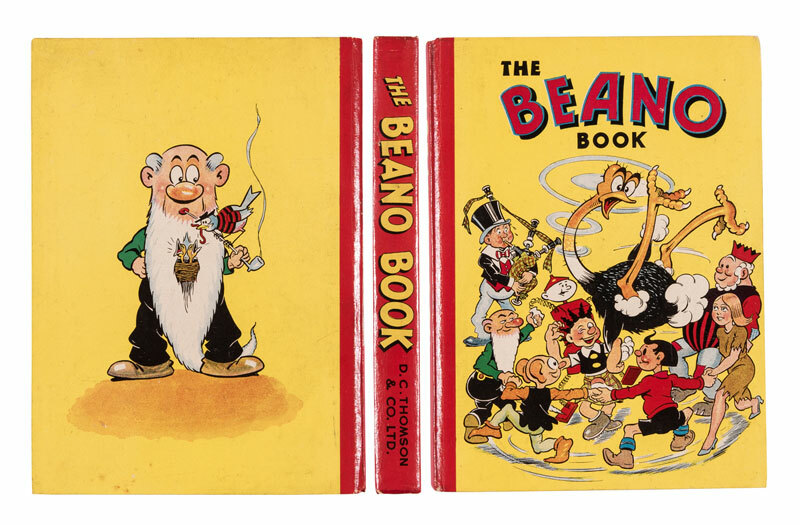 Hot books at £310. 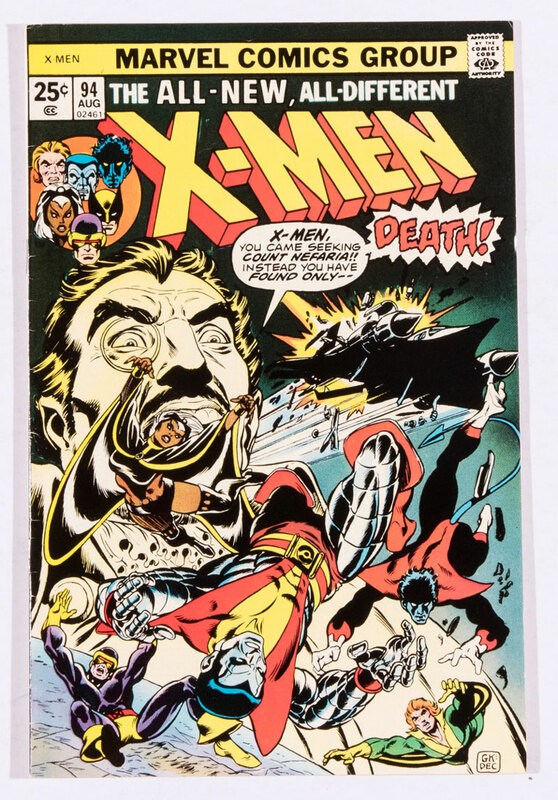 Cents copies of X-Men 7 and 8 at £260. 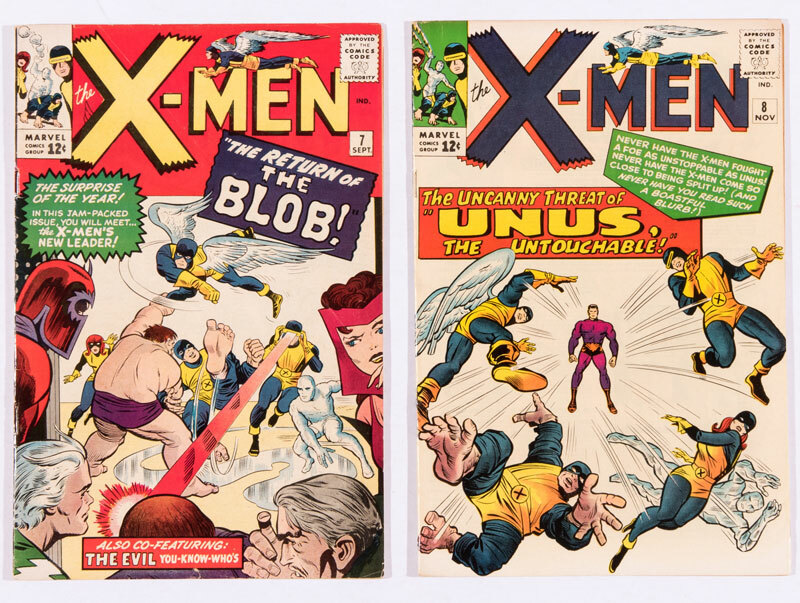 Two X-Men keys from 1975 are the new costumed mutants in No 94 and the Giant-Size No 1. £130 and £310 respectively. 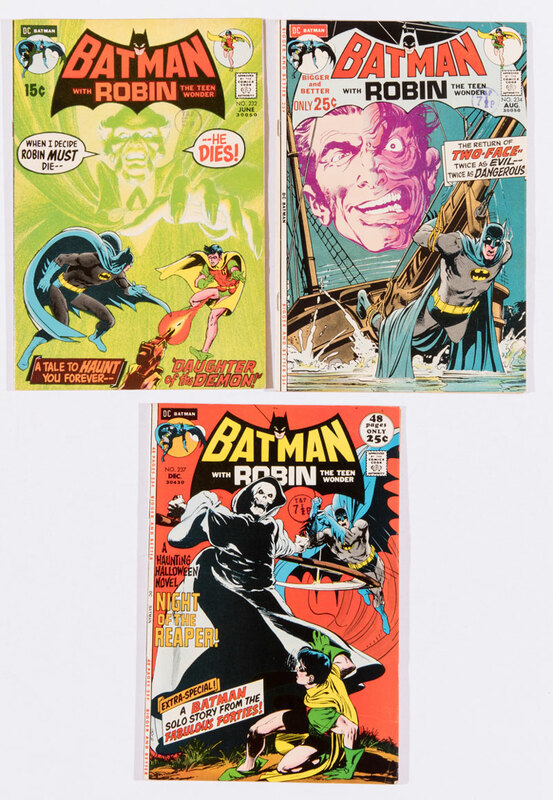 Batman prospered with Neil Adams issues 232, 234 and 237 at £310. 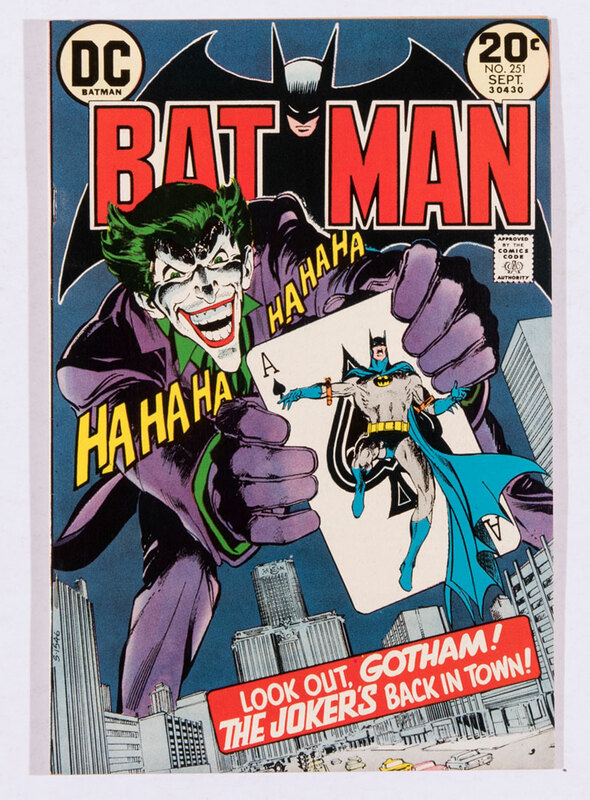 Neil Adams Joker cover had the last laugh with a cents [vfn+] £230. 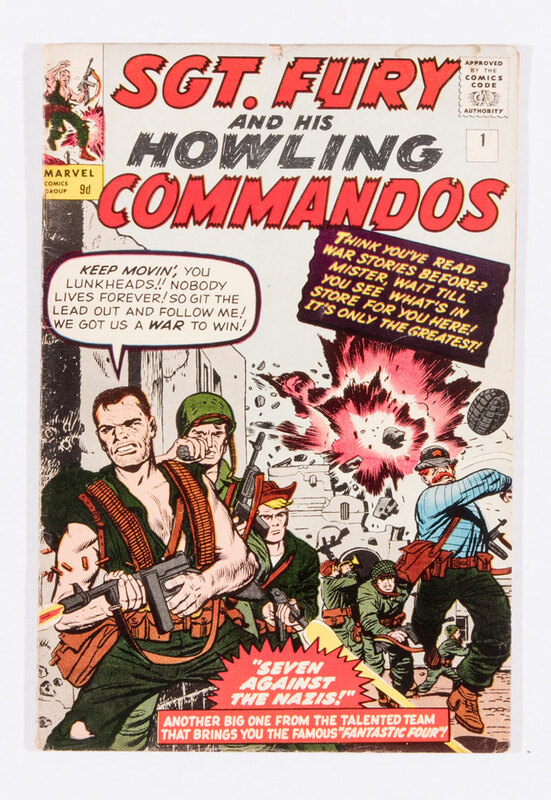 Talking of jokers, I thought I’d remind you of how I started in comics since our company is 25 years old in December. 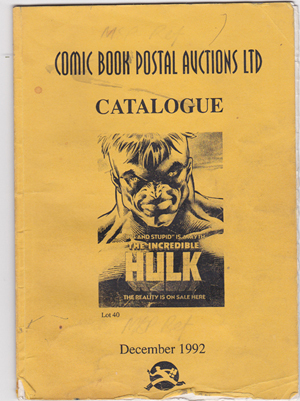 I opened a comic shop in Camden Town, London in 1992. It was called ‘MEANWHILE…’ and themed to represent what space travel looked like in the 1950s – a sort of Jetsons on steroids. 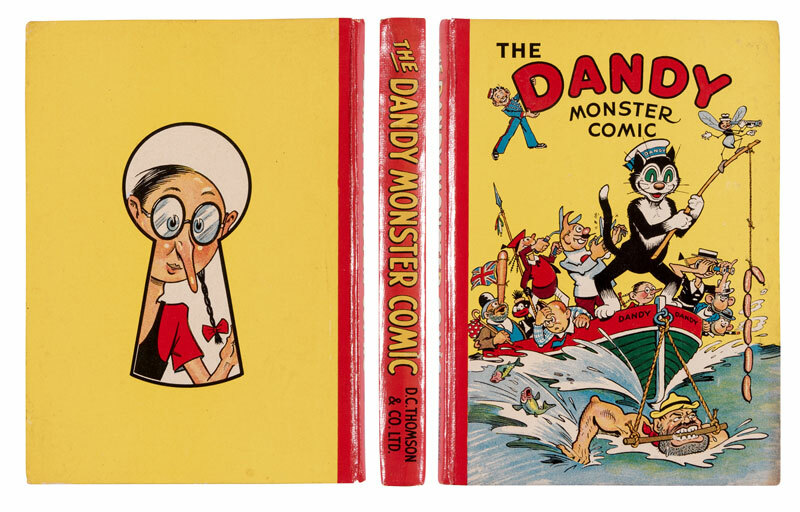 Everything in the shop was angular, including the odd-shaped counter, the unparallel display cabinets and the life-sized aluminium nodding dog in the window with a copy of the Beano in its glittering jaws. In our first week of trading the biggest request from assorted wags was, ‘How much is that….’ mainly sung out of tune. Unfortunately, it wasn’t the only thing that was out of tune. After 18 months of continued losses we had to de-commission the space programme, put the key in the door and melt down the dog. Yet one small problem remained. My pal, Trevor owned a news shop in Camden Town High Street and we used his basement to store the overstocks and collections we had bought from customers during that time. After five weeks of counting, grading, listing and arranging in alpha-numeric order we had our inventory. The reason this took so long was that Trevor used to let us have the keys so we could do this after the shop had closed each evening. The only perk to this painstaking job was the Mars bar I used to nick each night around midnight when we left. Oh! 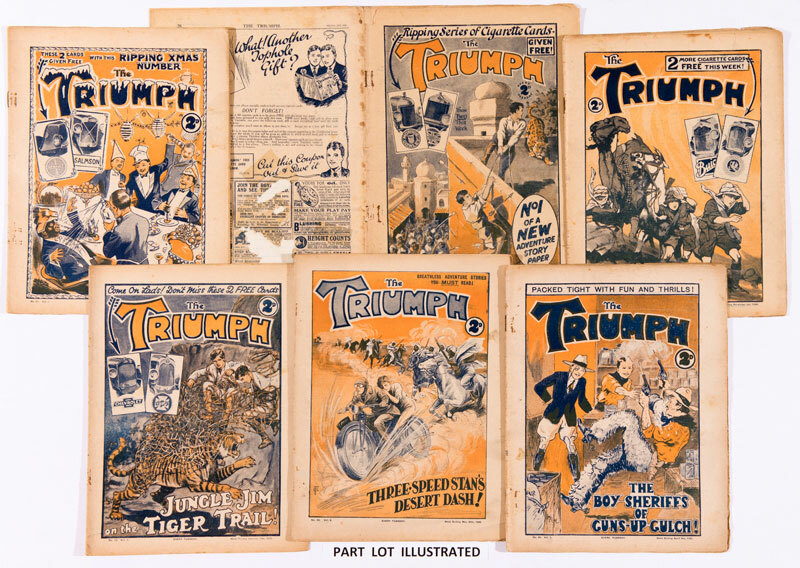 Yes - and the inventory came to 30,000 comics. 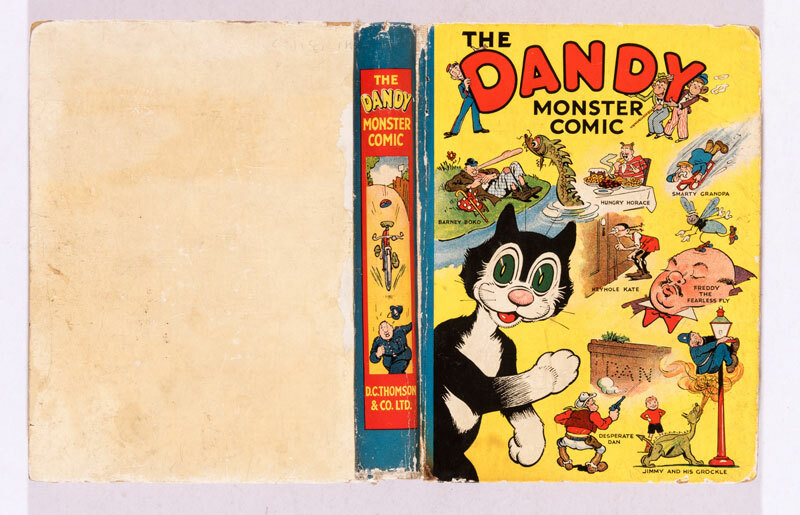 That’s thirty thousand comics. So what to do? 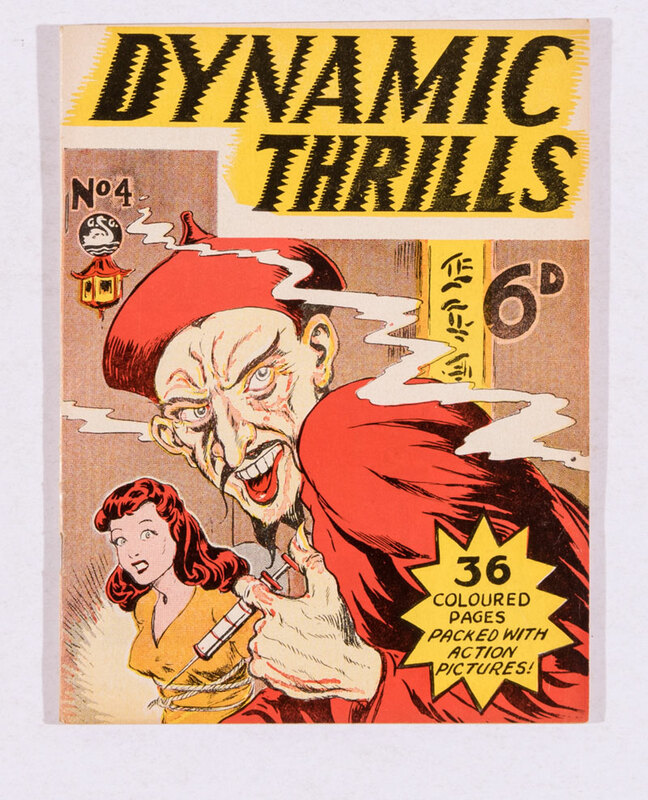 Certainly no more retail adventures as the Joker’s comic stock would surely progress to laughing stock. 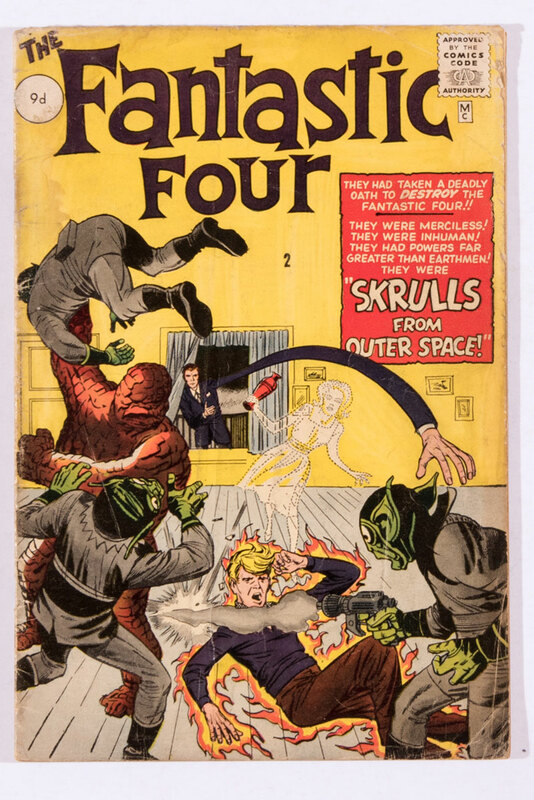 We took Meanwhile’s meagre mailing list and set about sending out our booklet of comics, posters and figurines arranged in small lots, all at No Reserve, to entice our new ‘customers’ to buy. 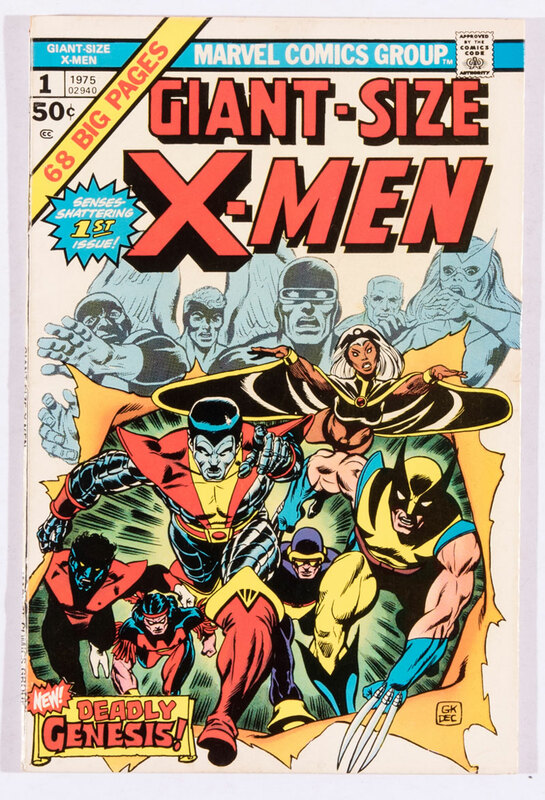 We put a time limit on the sale so that everyone had to fill in and send back the enclosed bidding sheet by that time and the highest bidders won the lots. 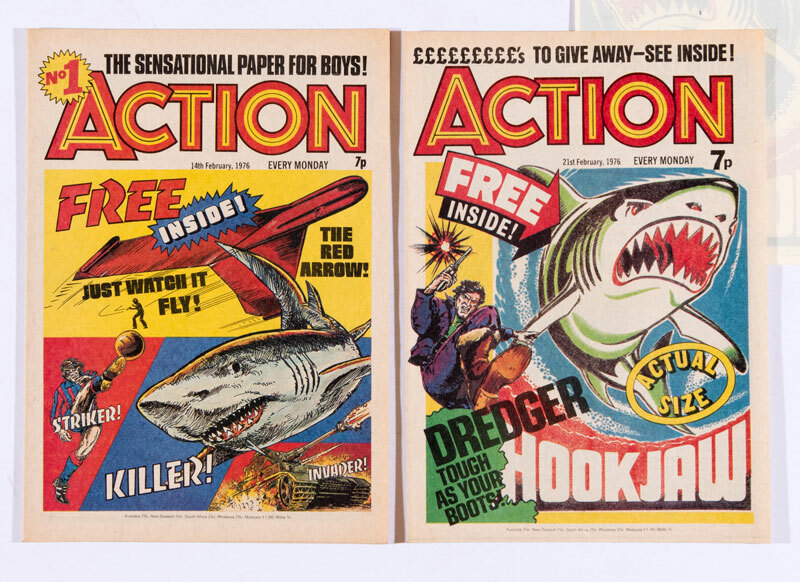 In our first ‘catalogue’ we sold nearly everything and became knee-deep in parcels in the basement and then at the Post Office. 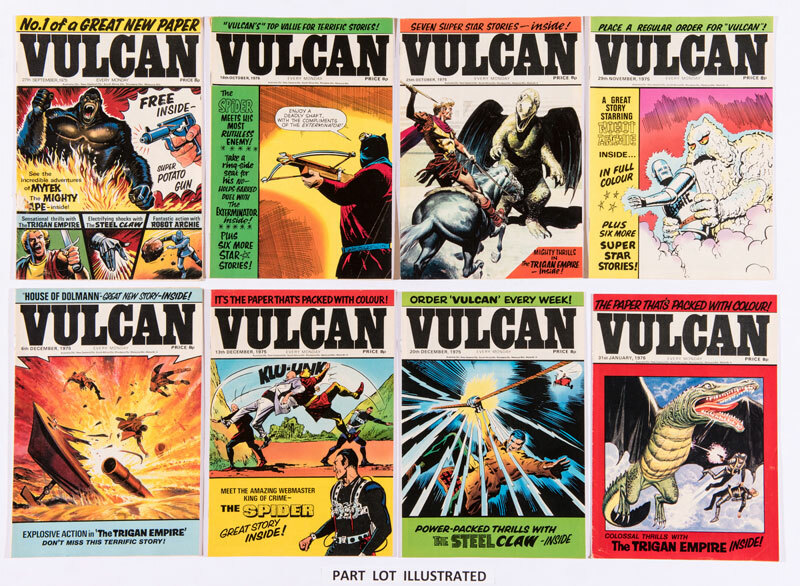 The catalogue’s popularity began to spread by word of mouth (no internet in those days) and we put some small ads in Comics International and Book And Magazine Collector. 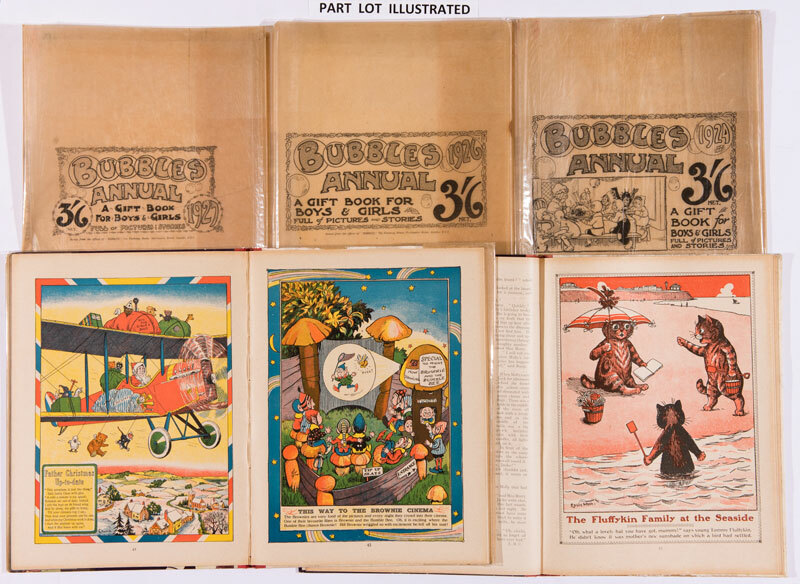 After a couple of months, people began asking us to offer their collections for sale and we realised that maybe there was a business here as well. It took us over a year to liquidate the basement’s 150 boxes and the rest, as they say, is (Journey Into) Mystery. Much later I went into the shop to thank Trevor and to offer him some quids in return for his kind co-operation. He gratefully accepted, but not before telling me that I wasn’t the only one who did inventories as the empty spaces in his sweets section had not always been put down to rodent-chew.